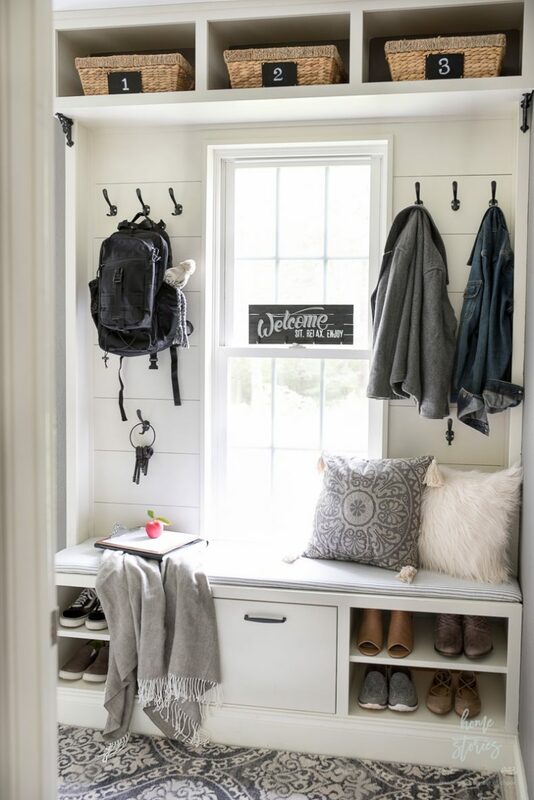 Create a welcoming and efficient mudroom makeover using these picture ideas, tips, and accessories. 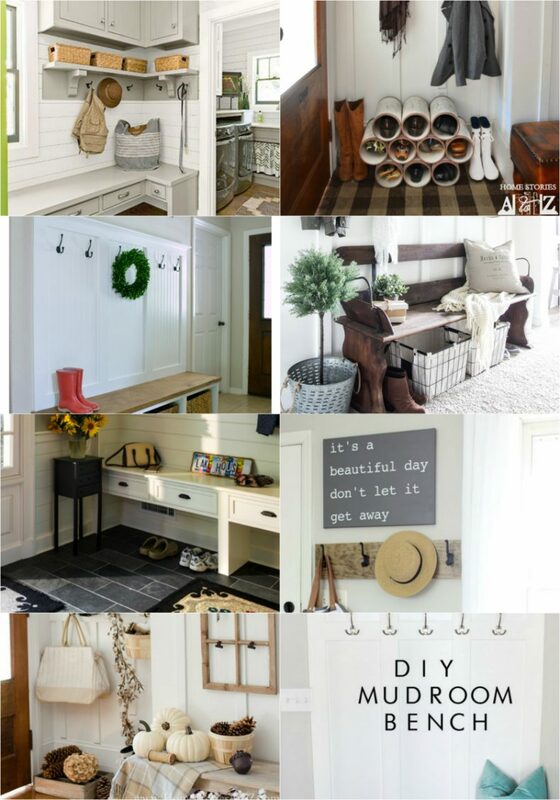 Take your mudroom from messy to magnificent! This post is sponsored by Better Homes & Gardens at Walmart. Post may contain affiliate links for your convenience. All words and favorable opinions of the adorable products are my own! Okay, so I know mudrooms are supposed to be for, you know, mud and all, but our mudroom was taking unmentionable liberties with its messiness! 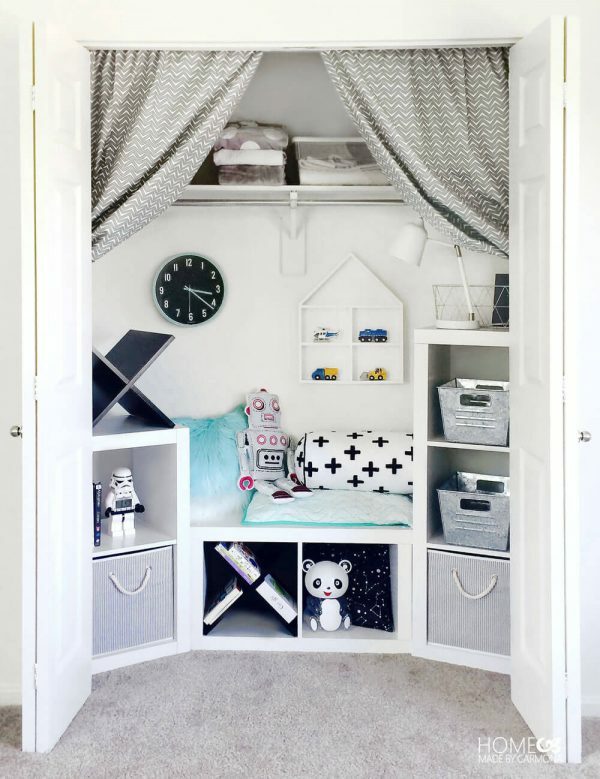 I could barely walk into this room without tripping over dirty shoes, backpacks, and clutter. With back to school in full effect, it was time to get organized with this dropzone. My mudroom “before” pictures are after tidying up a bit because it was just too embarrassing to show you how gross it had become. When I spotted a spider the size of Texas hanging out in here as if it were in its natural habitat, I knew enough was enough. 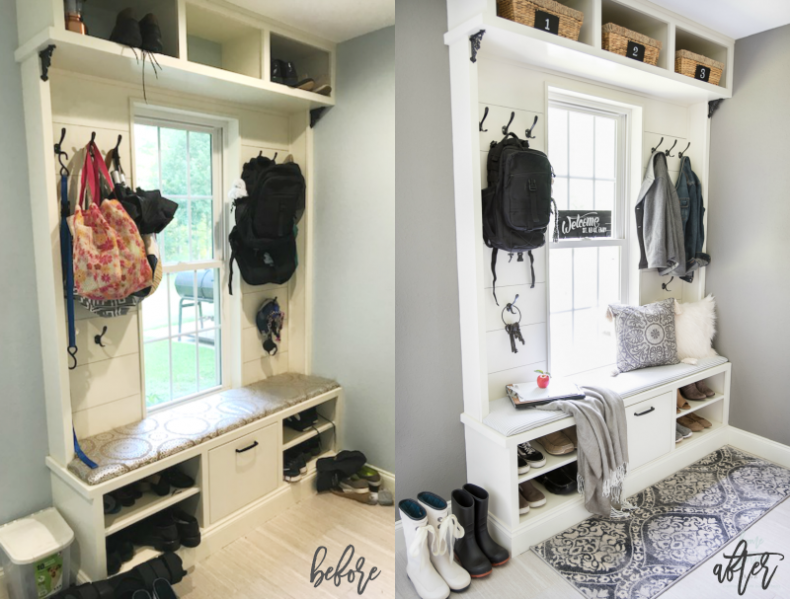 It was time to take drastic measures and change this messy mudroom into a magnificent mudroom! The first thing I did was clear out all of the clutter. I took absolutely everything out of the room, dumped it into the garage, and then cleaned the room from top to bottom. Next, I freshened up the walls with paint, Chelsea Gray by Benjamin Moore. This room has two windows and receives a lot of light, so I knew it could handle the rich color. I absolutely love it! 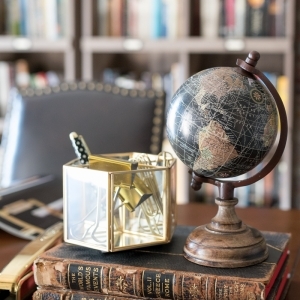 It gives the room a warm, cozy, and masculine vibe that is perfect for my boys. Mudroom Makeover Step 2: Reupholster the bench. The previous fabric on the bench was cute but just not the look I wanted for in here. I reupholstered the bench in a classic ticking stripe fabric that I think I’ll love for years to come. 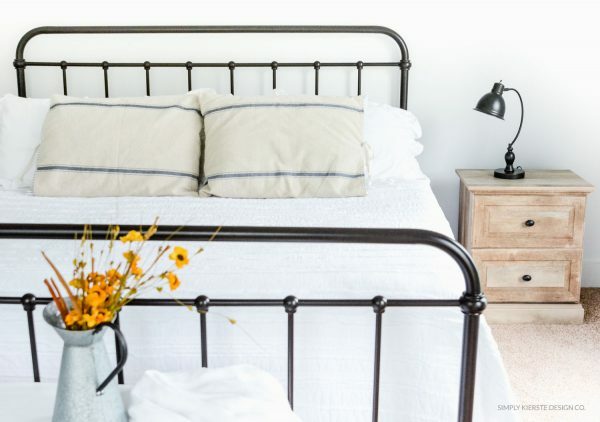 The cozy herringbone throw blanket is from Better Homes & Gardens from Walmart and I love it. I actually have it in three different colors because I love it so much! It’s priced at only $11.03 right now, but prices and availability are subject to change so scoop one up for yourself while you can. 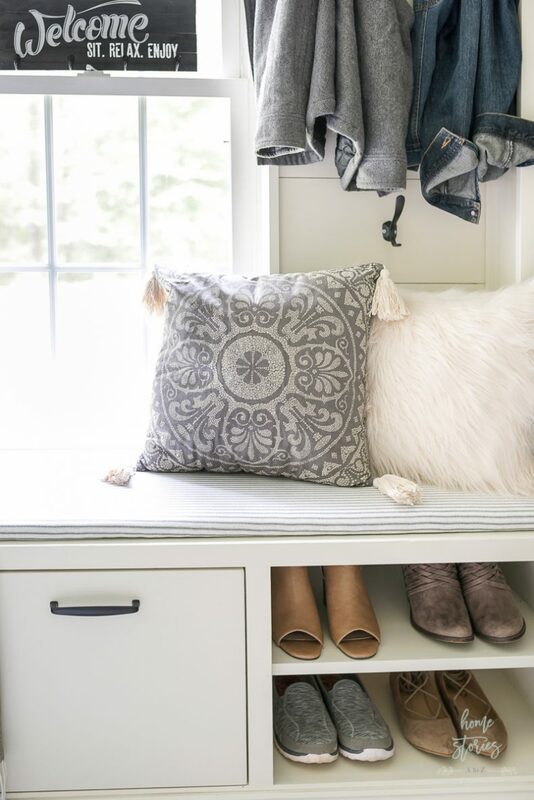 Mudroom Makeover Step 3: Accessorize and organize. This was the fun part! 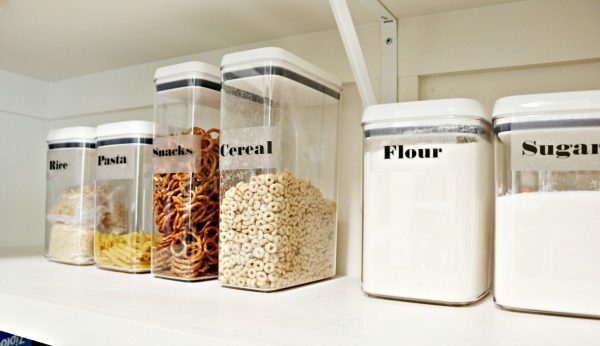 I bought the following products from Better Homes & Gardens at Walmart to help me style and organize the space. The mudroom is also our laundry room, so I wanted to create a cozy nook where someone can sit and chat with me as I iron. The toss pillows and rug make the room much more inviting. I also needed baskets to organize hats, umbrellas, and dog items, and the Better Homes & Gardens Hyacinth Twist Baskets were perfect for our cubbies. Mudroom Makeover Step 5: Keep it minimal. 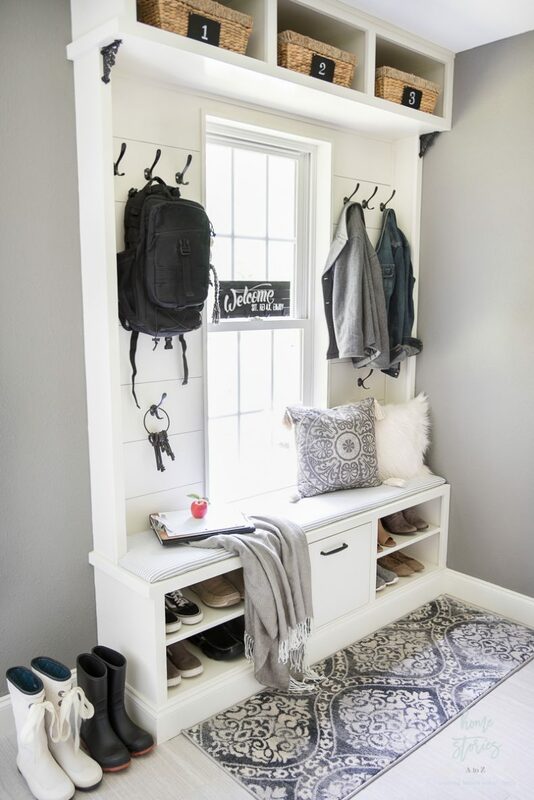 Let your family know that the mudroom isn’t meant to be used as a closet, garage, (or pig pen.) I implemented a new rule that only two pairs of shoes, one backpack, and one coat per person is allowed at any one time in this space! 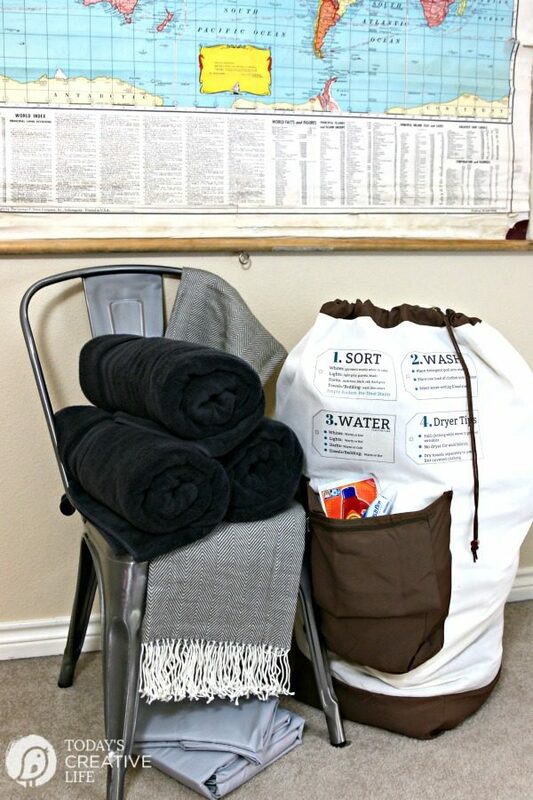 All the rest of the overflow needs to be stored in its designated closet or garage space. We will see how long it takes before that rule is violated, but for now everyone in the family is enjoying the new decluttered, organized, and cozy space! 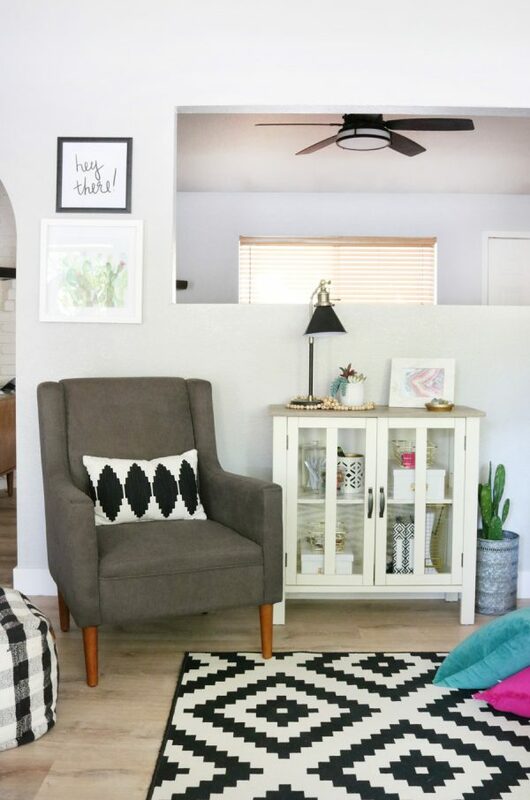 My goal on this blog has always been to create beauty out of chaos at an affordable price point and share my finds, tips, and tutorials with you! This is one of the many reasons I am proud to be a part of the Better Homes & Gardens Live Better Blogger Network. 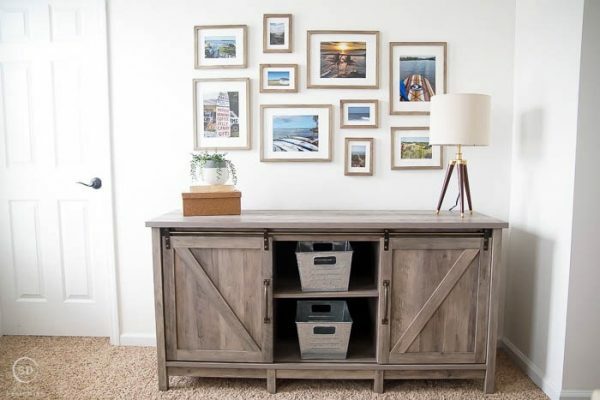 Want to see what other Better Homes & Gardens Influencers created this month? Check out the following projects! 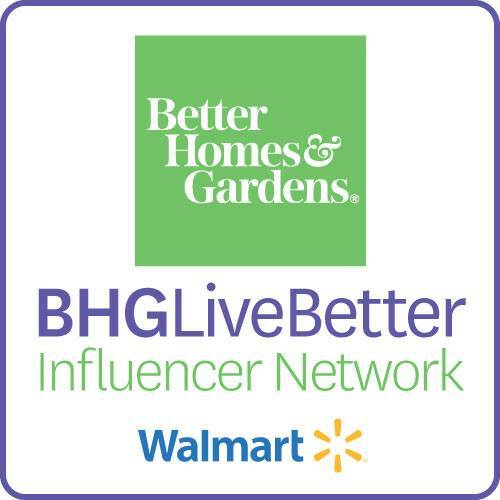 You can keep up with all the beautiful Better Homes & Gardens at Walmart products by following them on social media!